This page contains links to equipments used by project members on this Amateur Radio Adventure, software programs and components developed by the project, and to other tools we've found useful and collected here for your convenience. Every body know that if you prefer one Manufacteur Equipment you never change if you prefer Yaesu, ICOM, Kenwood , Ten-tec etc, . We are talking about OM with some years on experience , myself I never change from Kenwood, i've already operate under diferent conditions or with Yaesu or ICOM even with TEN-TEC and Drake. We can start here a discussion, but i've a costumate to listening good reception on my Kenwoods ,that's the reason I maintan my fidelity to Kenwood. The Kenwood TS-480SAT is an all mode HF plus 6 meter amateur transceiver. It features AF digital signal processing on both receive and transmit. A quad-mixer provides receiver dynamic range equivalent to that of the TS-950 class. Receive coverage is 500 kHz (30 kHz VFO) to 60 MHz and direct frequency keypad entry is supported. The stand-alone LCD control panel features its own speaker and be placed up to 16 feet away from the main unit. This radio features attractive back lighting of the display and the controls! The supplied tabletop panel brackets is convenient for base use. 100 Alphanumeric memories are available and multiple scan functions are supported including: program scan, VFO scan, memory scan, group scan, subtone scan and CTCSS scan. The TS-480SAT can transmit 100 watts (5 watt minimum RF output for QRP work). Many operational parameters can be set to your operating preferences via the menu system. Up to two optional IF filters may be added. ARCP-480 and ARHP-10 control software downloads are available free from www.kenwood.net. Note: The TS-480HX is similar, but provides 200 watts (100 on 6 meters) and does not have the built-in antenna tuner. The rear panel of the TS-480HX has dual fans and dual DC inputs. Simple wire antennas are quite all right, but using them to do well in a contest is pretty hard. This is how the spider beam evolved over the last years. The spider beam is a full size lightweight tribander yagi for 20/15/10m,or 5-band-beam (20-17-15-12-10m). made from fiberglass and wire. It has been specially developed as a highly efficient antenna for dx-pedition and portable use. While the antenna is as light as a mini beam it maintains the gain and F/B ratio of a typical full size tribander. The whole antenna weight is only 6kg (12 lbs) making it ideally suited for portable use. It can be carried and installed easily by a single person. A small push-up mast and a TV rotator is totally sufficient, saving even more weight on the total setup. The transportation length is only 1.20m. DF4SA "I have written a detailed construction guide (classic Heathkit-style step-by-step instructions), so you can build your own spider beam from scratch. The complete construction guide is available for free as a PDF document. Several helpful OMs have kindly translated the construction guide to their mother tongue, making it available in several different languages. Because of the great response I decided to make the antenna available in kit form. 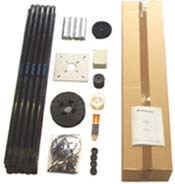 The complete material kit contains all the parts necessary to build the antenna." You may also obtain technical support by e-mail or telephone at [Spiderbeam]; and by e-mail . With continuing efforts to make portable equipment ,even more rugged and durable SPIDERBEAM have now developed a new "HEAVY DUTY" version of our well-known 12m pole. The first prototypes were tested last November/December during 120km/h winds at the North Sea coast and performed just great! These are very strong poles, with a much greater wall thickness (up to 2mm!) than the usual "fishing rod" types. They are wound with a special reinforcing winding technique (several layers of fiberglass are wound in alternating direction (criss/cross winding), thus greatly increasing lateral and linear strength. Stronger joints are achieved by a much larger overlap between the individual tube segments than usual. This a great piece, We decide to integrate as a part of equipment for Low Band Operations. These heavy duty poles are very well suited for building 40/80/160m wire GP or inverted L antennas. They can also easily support temporary lightweight 1 Element Quad or Delta loops for 20-10m, and dipoles for all bands, especially when used with open wire feedline. (Most baluns would be somewhat heavy). 4-6 poles could be used to build lightweight beams for 40 or 80m. Even the top segment is 8mm in diameter (and 1.4mm wall thickness), so the poles can be used to their full 12m length - unlike other poles where the top segment is very thin as a whip. During our tests we were able to put 80m inv vee dipoles (made from 1mm diameter enameled copper wire (AWG 18) and open wire feedline) RIGHT AT THE TOP of the 12m pole... No way you can do this with a regular "fishing rod"! At 9-10m height, the poles can easily support small VHF/UHF yagis. The best (and cheapest) wire to use for such applications (verticals, loops, dipoles etc.) is AWG 18 (= 1mm diameter) enameled copper wire or similar. Thin fishing monofilament (1mm diameter) or similar rope is very suitable for guy lines. Of course, a single person can still put up these poles very easy within minutes. This is also a great antenna if your idea and way to play radio is on portable, DXpeditions also on Fieldays. I've a FORCE 12 on my own station it's the C4 Force 12. If we discuss about antennas, have or should not have "traps" we will spend lot of time without a conclusion. But if we take some historical registration on our different hamradio activities with reasonable elements, finnally you will found what you think it's better for your operation. Of course we aren't always satisfied, we are always looking for the better. The market is full of different kind type of antennas. The Sigma-40XK is the same antenna used by Team Vertical on 40 meters to set World Records. As development continued, it was discovered that this excellent antenna could be enhanced for operation on more bands by using the 40 meter version as the core design. It comes with all components to place it on the 40-30-20-17-15-12-10 amateur bands. In actual practice, the Sigma-40XK can be placed on any frequency or band between about 5 MHZ and 30 MHz, making it an excellent choice for FIELD DAY and other services. It can also be operated horizontally as a dipole close to the ground for emergency communications. Frequency changes are simple. The T-bar lengths are set to the correct length for 20 through 10 meters, with pre-sets and pre-cut sections. 40 and 30 use the 20 meter T-bars, plus center loading coils are added at the feed point. Simple - and - it let's you get your hands on the antenna and learn what is happening! This is a great teaching tool for students. 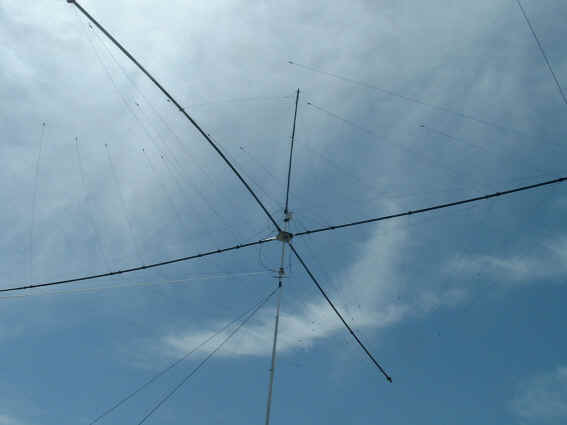 Over past 15 years when I sarted on DX'peditions (May 1990 with CT0B) I use this great antennas , of course if you are operating from a Lighthouse and if you have permition to get the top, it's very easy to put several dipoles from the top, if you have luck to have some trees, or on an island with coconuts so you can mount the dipoles and kurz-dipoles (short dipoles) the same way. Also very easy on transport . I've dipole specialy for WARC Bands, for 40 and 80 Meters, and for normal bands 10,15 and 20 Meters. You may also obtain technical support by e-mail or telephone at [GUSTAV KELEMEN]; and by e-mail . This is also great part of the equipment, I just tell you I've two pairs, one for my own station and the other I've use to play radio on portable, DXpeditions also on Fieldays. Very confortable it's a great piece for DX'er with HC4 piece on Microphone works very well with all amateur equipments. When you use for the first time , you down't want to miss for other times, and help you on the pile-ups. This is my NEW EQUIPMENT, excellent piece for Interfacing to a radio and computer, works very well with most of all Logging programs (N1MM,Writelog,CTK1EA,Logger,Looger32, etc.etc) you have PTT control and sound card control. 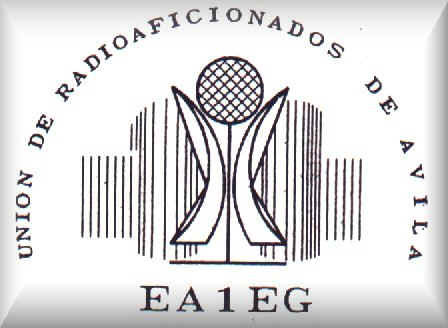 Permitting transmit all modes, of course including digital modes (RTTY,PSK31etc.etc) . With a electronic Keyer it's very good for the exigente CW operator. You can made your own interface with a couple of diodes, and transistors and line transformer, but you don't have computer and radio control buttons and we never know on day we can damage the transceiver or computer with excess overload. You may also obtain technical support by e-mail or telephone at [MICROHAM]; and by e-mail . I Love CW, but I'm still a humble CW Operartor, beeleave me I'm trying to improve everyday, and maybe 10 years from now I could transmit and receive fast like some friends I've. Anyway I'm trying to work at least on the DX'peditions. I Can´t perform CW Pile-ups because I still have a hard hears. So if you can't hear us on any Phone Frequencies take a look on CW but be pacience. You may also obtain technical support by e-mail or telephone at [DUNESTAR]; and by e-mail [Here]. The software can be downloaded via the links at internet. It's a freeware program designed to do contest logging and some general logging. It is not a general logging program with award tracking etc. but it is mainly a contest program. Also very good for using as a DXpedinionary tools on any laptop . The program can be used on Windows 95/98/ME and on Windows NT/2000/XP.DOS is not supported. Try to use this log software and explore all facilities. Try to use also this log software and explore all facilities. MixW is a multimode program for HAMs. 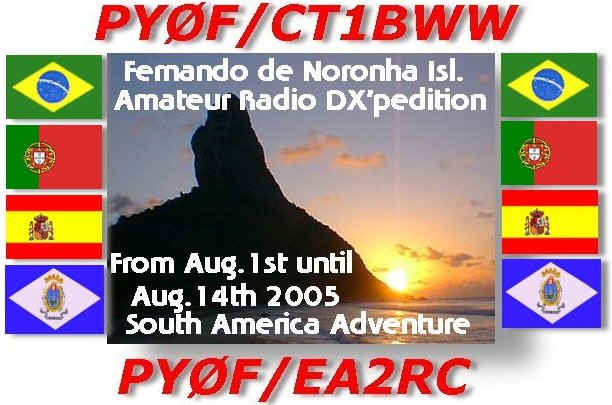 It will help you in regular and contest QSOs. This program have many features which give you almost automatic processing of a QSO. SSB, AM, FM, CW, BPSK31, QPSK31, FSK31, RTTY, Packet (HF/VHF), Pactor (RX only), AMTOR (FEC), MFSK, Hellschreiber, Throb, Fax (RX only), SSTV, MT63. MixW does not require a TNC. The only requirement is that you must have a computer running Windows 9x, ME, NT4, 2000 or XP operating system, and a compatible soundcard, MixW RigExpert or MixW RigExpert Tiny interface. You may download the full-functional version (with 15-day trial period) of MixW and try it right now. Last updated: Agosto 25, 2005.WebMaster [ct1bww].